I've had a bunch of fun doing these banners. I'm a 35-year-old who’s been a professional trader for 13 years (and builder for the last 18 months! ), and I finally had a chance to indulge my more creative side with all of you as my captive and unwilling audience. It’s been quite fun, and I thank everyone for not ripping me more than necessary. We (Rami + Concourse) made TRADEorDAI (https://tradeordai.com) to be a simple game for people who want to get more comfortable with crypto without the stress or anxiety of making major financial decisions. To get to know crypto, you’ve got to get used to the fact that token prices move around a lot. And I think the best way to become part of the Ethereum community is to meet and get to know people who understand the different ways that Ethereum might change the world. MOST IMPORTANTLY, you need to know that dipping your toes in the water is completely ok.
That makes sense to me because as a toddler, it took me a long time to get comfortable with swimming pools. If somebody had just thrown me in the deep end, I probably still wouldn’t go near a pool today. I think crypto’s the same – we don't need another bubble fueled by people wiring their life savings to Coinbase or maxing out credit cards in a fit of FOMO. We need a community of informed users working together to make Ethereum useful. "Ok, so what? This is ethtrader. People here already know crypto." Exactly. People here do know crypto. Even better, people here aren’t assholes. Ethtrader is a friendly, inclusive bunch that’s perfect for taking Ethereum to the masses if given the right tools. We hope TRADEorDAI can be one of those tools. 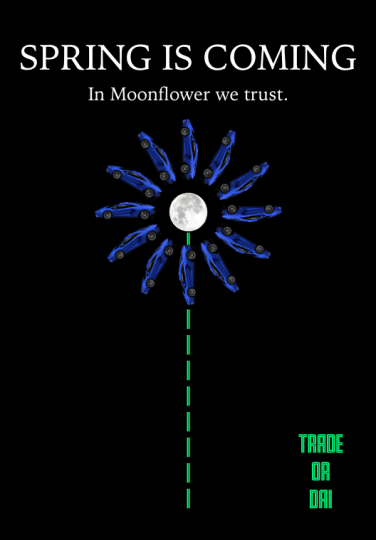 It’s a super-simple trading game that revolves around the TRADEorDAI chat room. We think a fun game with a small prize is the perfect way to get new people interested in Ethereum. And hanging out with some of the best people in the Ethereum community (that's you!) is the perfect way to get them to STAY interested in Ethereum. Just to play a game and be yourself. We’re running a week-long live test run of TRADEorDAI with the ethtrader community that we’ve dubbed "The Preseason." Participants in The Preseason will be thanked with a limited edition TRADEorDAI NFTs, some really awesome TRADEorDAI stickers and a boatload of praise. The GOAL of The Preseason is to prepare TRADEorDAI for "Season 1." In Season 1, everybody who’s up for it will help turn Ethereum-curious TRADEorDAI gamers into Ethereum-excited community members. How? The old-fashioned way – by being nice, helpful and welcoming.